Lewis Howes is an undeniable icon. 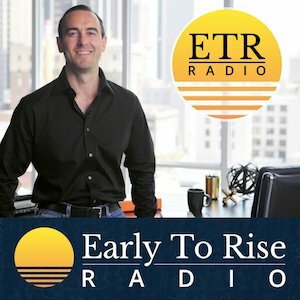 A former professional football player, Howes parlayed an injury early in his career into entrepreneurial success, inspirational speaker celebrity, and a career focused on helping people become their best selves. We had a moment to sit down with Howes and talk about both his successes and his failures, his new book (“The Mask of Masculinity”), and what keeps him going after years of ups and downs. The adversity you overcame early on in your life is staggering. And while you advocate that people should listen to their own hearts and map out their own dreams, it’s hard to drown out the critical and negative voices all around us. How do you do that? 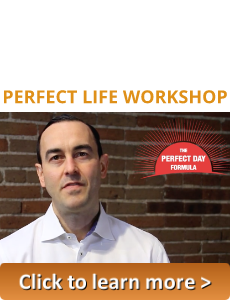 Do you have rituals or techniques that help every day? I started meditating in high school to prepare for sports matches and it’s supported me throughout my career. 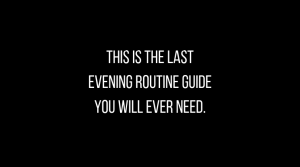 I try to do it daily. A few years ago, I learned how powerful it is to focus on what I’m grateful for every single day. It keeps everything in perspective and grounds me in what is going well. You’ve told the story of your school struggles many times. I see an analogue in business, actually. For those who are now adults, but struggle to perform in a traditional work environment, how do you recommend they find a place to thrive? 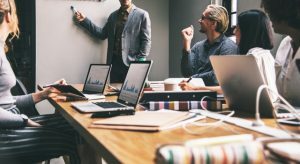 At what point do you know that “office work” isn’t for you and you should give it up for something different? I have never had an office job or really worked for anyone besides bouncing at a club and driving a truck. I just knew I wasn’t going to do well in that environment. But no matter what situation you’re in, it’s really important to get clear on what your strengths are and what your vision is. If you realize you can pursue your vision as an entrepreneur, go that route. It’s not easy, but it’s worth it. It’s smart to start something as a side hustle if you want to try that out first and keep your day job until you know you can do it. How has celebrity changed your routines and rituals? Is it hard to keep your ego in check with the attention you receive? You talk a lot about the negativity and lack of clear direction that you’ve faced. Do you think these are the primary struggles for most people in daily life, or is there another (or more than one) pain point you’re seeing a lot? Are our societal pain points changing? I do see a lot of people struggling with clarity. It’s one of the most common questions I get—”How do I know what my passion is or what I should pursue?” I think this lack of clarity is coming from so much noise and distraction around us. I always recommend disconnecting from devices, getting out into nature, and just being with yourself and listening. Clarity will come when you give yourself space to let it. 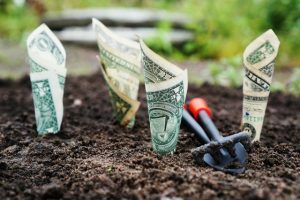 You famously started several multi-million dollars companies, including SportsNetworker. 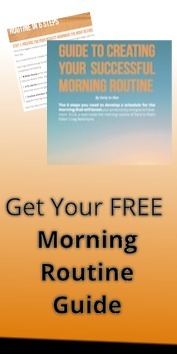 Do you think you’d have the same success today launching a similar online business, almost 10 years later? I’m confident if I lost everything today and had to start over, I could do it just as well—or better—considering what I know now. I’ve learned that relationships are everything, and my relationships are better than 10 years ago, so it wouldn’t be a problem. When you’ve built relationships from being in service and adding value to others, there will always be opportunities and support available for you. When you’ve built relationships from being in service and adding value to others, there will always be opportunities and support available for you. Speaking of support, what role does family play in your life now? My family has always been a huge support system to me. From when I was an athlete, to when I was broke and injured, to my current success, they are always there for me. We did get a lot closer a few years ago when I opened up to them about my childhood sexual abuse. I learned that being vulnerable really is at the center of good relationships. High achievers and ambitious go-getters often spend a lot of time on their passions, but when it comes to romantic relationships, they struggle. What advice can you give to these people to help them find (and maintain) a healthy relationship? This has been something I’ve really had to learn over the years. I failed a lot and learned a lot from how I showed up in past romantic relationships. My girlfriend has taught me so much about how to be a good partner and that there is a give and take in healthy relationships. Communication is so important; don’t be afraid to be honest about how much your vision matters to you, but be willing to support their vision and meet their needs as well. Which brings me to my next question: Given your achievements, how do you measure success these days? Does the definition change? I used to never be happy when I’d achieve a big goal. I’d always feel empty—like I had to just go for something bigger. But I’ve learned to celebrate the small achievements along the way and be grateful for the present. I do a daily check in to rate myself on how I did each day, how I can improve, what I did well. That daily measure of success is a lot more fulfilling and sustainable. I have a big vision for the next 10 years, but I’m not hanging my happiness on it. I’m working to be the biggest day-time TV talk show host ever. I know you’ve been very open about your past struggles, and that helps build strong relationships with your followers. What are your struggles today, and how are you facing them? Managing my energy and not overwhelming myself gets harder the more opportunities come to me. I want to say “yes” to every big thing that comes along, but I know I have to keep in balance, keep healthy, and not work myself to death. Daily habits like meditation, working out, and spending time on my important relationships helps me keep in check, but I’m not perfect at it. I know a lot of people ask this, but it says a lot about a person: If you were to spend a day with one person (dead or alive), who would it be and why? I’d love to spend a day with The Rock. I think he’s amazing in his mindset, work ethic, and how he’s adding value to the world and lifting others up. Last (but not least): What are you thankful for in this moment? I’m grateful that this new book, “The Mask of Masculinity,” is out and that people are finding value in it. It’s something that I worked hard on and really believe can change people’s lives for the better. 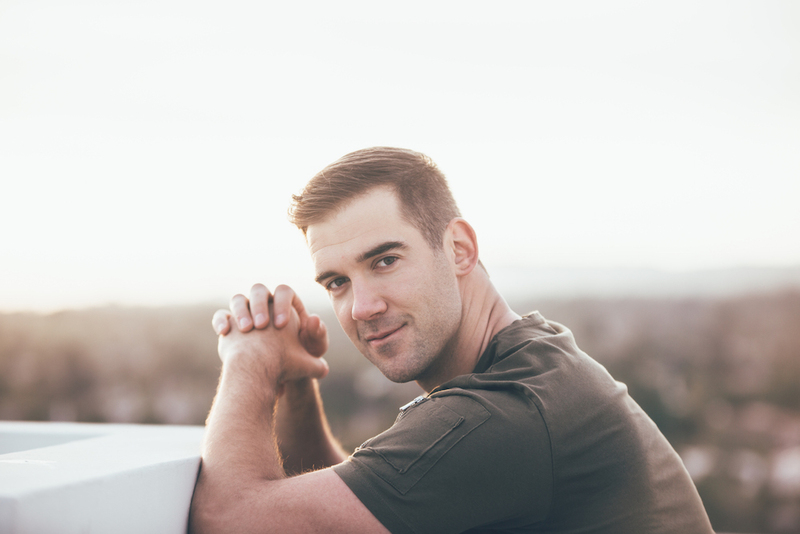 For more information about Lewis Howes, visit lewishowes.com. To find YOUR version of success, you need to define your priorities, your goals, and your dreams. 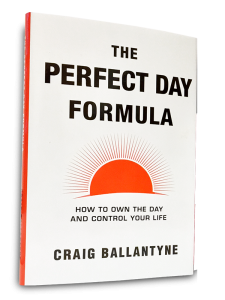 “The Perfect Day Formula,” written by ETR Editor Craig Ballantyne, gives you all the tools you need to do just that. And it’s FREE.